Charles L. Veach, 84, of Sciotoville, died suddenly on Friday, January 25, 2019, at Rosemount Pavilion. Born on July 14, 1934 in South Webster, he was a son of the late Jesse Clinton Veach and Sadie Marie Waddell Veach and was a retired engineer for the Norfolk and Western Railroad. 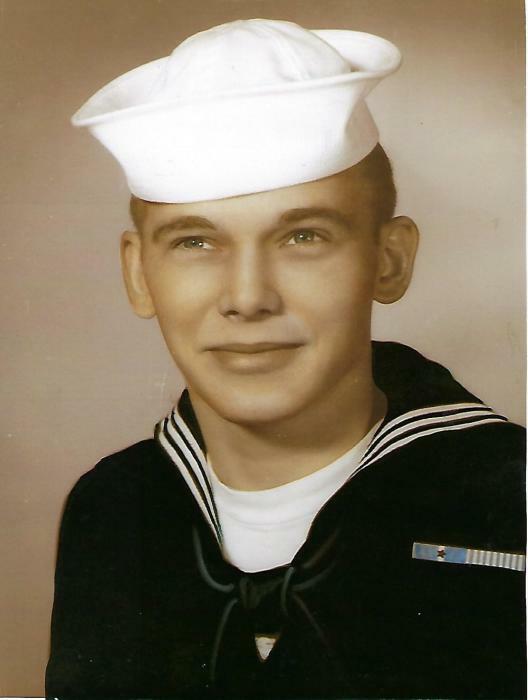 Charlie was a 1950 graduate of East High School, graduating at the age of 16, and was a proud Navy veteran of the Korean War, enlisting at the age of 17. Also preceding him in death were a brother, Larry Veach, three sisters, Marie Catherine Cotcamp, Clarice Justice and Mary Strickland; and former wives, Joy Jean Frazier Veach and Wanda Welch Veach. Surviving are a son, James Veach of Port Huron, MI; a daughter, Peggy Wilkes of West Union; a brother, Jesse Veach, Jr. of Lehi, UT; a sister, Jean Perry of Denver, CO; a former wife, Joyce Veach Sullens of Hill View Retirement Center; stepchildren, Jaime, Jeff, Belinda, Chris and Josh; and grandchildren, Talli, Scott, Austin, Jessica and Adreanna. A funeral service will be held at 2:00 p.m. on Monday, January 28th, at the BRANT FUNERAL HOME IN SCIOTOVILLE with Pastor Steve Phipps officiating. Interment will be in South Webster Cemetery with military honors by the James Dickey Post of the American Legion. The family will receive guests at Brant’s after 12:00 p.m. noon on Monday. The American flags on the avenue, along with the Navy flag, will fly in honor of proud veteran Charlie Veach.